Sciblogs | Did the Royal Society get it wrong about fluoridation? 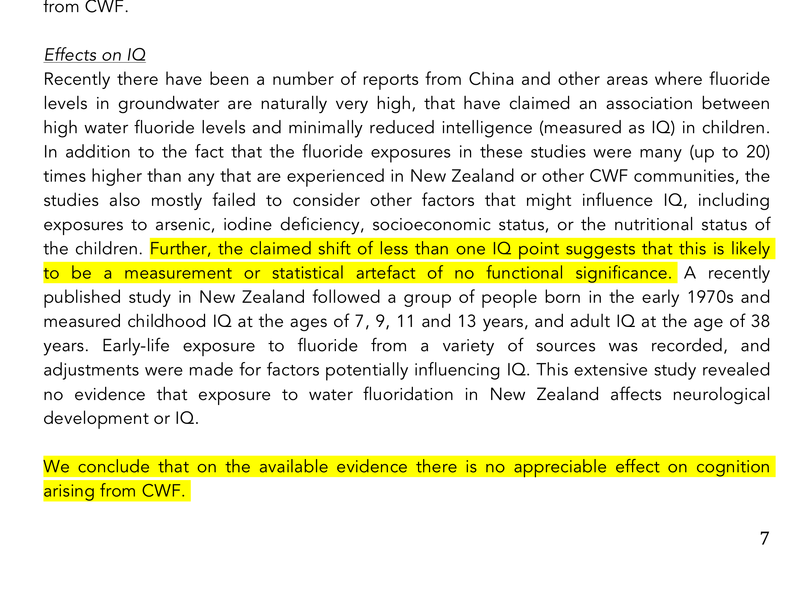 Did the Royal Society of NZ and the Office of the NZ Prime Minister’s Chief Science Advisor make a big mistake in their report Health Effects of Water Fluoridation: a Review of the Scientific Evidence)? Did they misrepresent a scientific paper which reported an effect of fluoride on the IQ of children?